Having bucked the trend of a declining British pub industry - by turning round first The Ebrington Arms near Chipping Campden in 2007 and The Killingworth Castle in Wootton, Oxfordshire in 2012 - landlords Jim and Claire Alexander have focussed their love of quality ale and local production to craft their own range of fine beers. To some this seemed a highly risky endeavour - especially as The Ebrington Arms had been rated by the North Cotswold branch of Campaign for Real Ale (CAMRA) as ‘pub of the year’ three years in a row (and runner up four times). What’s more, The Killingworth Castle, had also just picked up CAMRA’s second-prize gong in its first year of trading. However, buoyed by the ringing endorsement of their growing clientele, Jim and Claire took the leap in early 2013 and haven’t looked back. 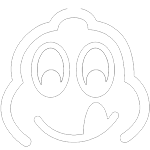 Ebrington provided the inspiration for the Yubberton brand, with Yubberton being the original name of the old village. 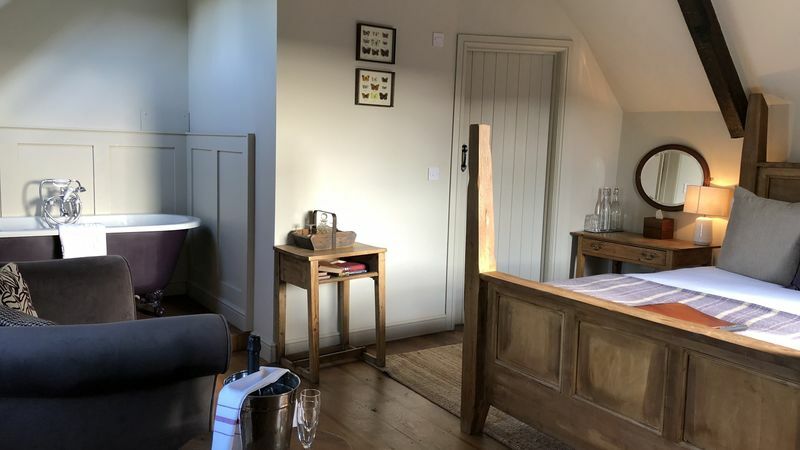 Although it’s a moniker long resigned to history books and archaic maps, the locals of The Ebrington Arms still talk about ‘going up the Yubby’ – their affectionate name for the 17th century inn. Having fully market tested their beers over the past year, Jim and Claire are now looking to expand their offering to other pubs after being inundated with enquires from fellow local landlords. For more information, please contact Jim Alexander. 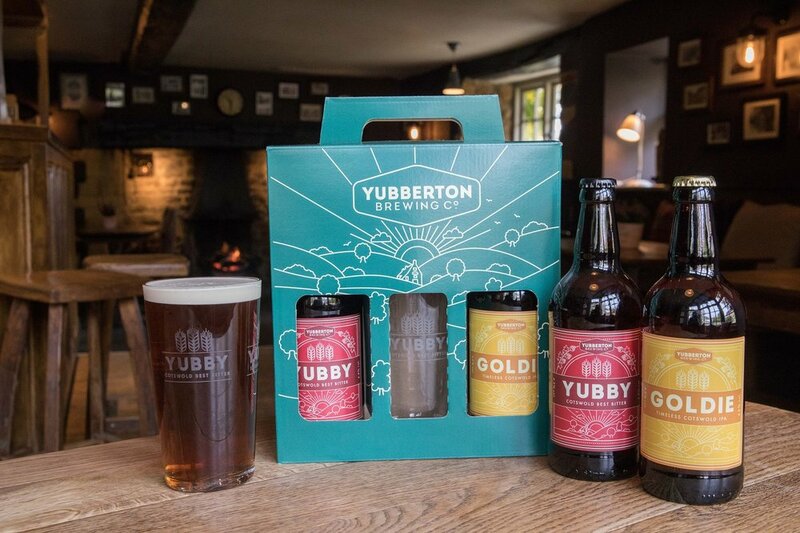 Our own ‘Yubby’ ale gift sets are the perfect gift for ale lovers. Each gift set includes 3 bottles (1 x Yawnie, 1 x Yubby and 1 x Goldie) packaged in a gift box with carry handle. If you’re staying with us, you can purchase one of these sets online as an optional extra for just £9.95 or drop in to the pub and pick one up! A full bodied chestnut coloured ale with a creamy head. Well balanced with toffee malt notes persisting through a complex hop character and a satisfying bitter finish. A copper coloured traditional bitter. Strong caramel malty notes carry through to a fruity hop character, with a pleasant bitter finish. A refreshing IPA style beer with a strong hoppy character.